Revisiting The Lion King seventeen years after its original release, it is easy to see why it captured the imagination of audiences at the time. The operatic story of king-to-be lion cub Simba (voiced by Jonathan Taylor Thomas), whose father Mufasa (James Earl Jones) is murdered by Simba’s uncle Scar (Jeremy Irons), draws on centuries of classic mythology from the Bible to Shakespeare, most notably Hamlet. The animation still looks fresh and expressive, most of the songs still resonate and the comic relief provided by the comedy duo meerkat Timon (Nathan Lane) and warthog Pumbaa (Ernie Sabella) is still very funny. It is also a film with a deeply disturbing ideology where rule by birthright and might is presented as acceptable within the film’s odd Zen/Darwinist Circle of Life philosophy. The Lion King is part of a long tradition in Walt Disney feature animation films of unquestioningly accepting monarchical rule, where power and privilege is hereditary and seen as just. The villains in such films are those who would undermine such conventions, as is the case in The Lion King with Scar who is denied his chance to be king when Simba is born. While such notions seem to contradict the fiercely republican values of the American audiences the films are principally made for, Disney has always distanced itself from its monarchist values by associating those values as belonging to fantasy lands or foreign countries, usually within Europe. In this way the mythology can be enjoyed without being too close to home. Then again, the plutocratic attitudes exalted by many contemporary neo-conservative Americans suggest that desiring a society ruled by the wealthy is not a completely foreign concept. In The Lion King the Pride Lands are ruled by Mufasa, who is brave and wise and good because he is the rightful king (and not the other way around). In the scene after Mufasa rescues Simba, by effectively invading the hyenas’ territory, he instructs Simba about the necessity of only being brave when required. In almost the same breath the pair then joke about how big and strong Mufasa is. It’s a remarkable combination of moralising and muscle flexing used to justify the might is right philosophy of the film. This is further established by the classic trope of Mufasa being the good brother for getting the brawn while Scar is the evil brother for getting the brains. This paradigm is presented as part of the natural order (the lion is the king of the beasts after all) with the later scenes showing the lands in decay when Scar deviates from the natural order by becoming king through cunning, albeit evil cunning, rather than birthright. The final touch is the inclusion of Rafiki (Robert Guillaume), the shaman mandrill, who represents divine approval on this ‘natural order’ of inherited privilege and benevolent dictatorship. While the core ideology behind The Lion King is extremely problematic and stands out even more today than it did in 1994, there is still much to admire about the film. Simba begins as a likeably rebellious character and remains an engaging protagonist once he grows up into a long maned slacker adult lion, to then be voiced by Matthew Broderick. Rather than seeking revenge, his character arc is to accept his responsibility. Social order is established through violence, but reluctantly so. In terms of narrative construction, the sequence involving Mufasa’s death followed by Simba’s mourning and Scar’s tormenting is unexpectedly powerful. Disney films have used the death of a parent before to advance the story, most notably in Bambi (1942), but the sense of heightened tragedy in The Lion King is potent. The film then brilliantly introduces Timon and Pumbaa to lift the mood at precisely the right moment. The songs have mostly held up well. ‘I Just Can’t Wait to Be King’ and ‘Be Prepared’ are completely forgettable, but ‘Hakuna Matata’ is fun and as Disney love ballads go, ‘Can You Feel the Love Tonight’ delivers exactly what it should. However, it’s the appropriation of traditional African music in the score and the song ‘Circle of Life’ that really distinguishes the music. The music contributes significantly to the stirring bookend scenes that open and close the film. Don’t despair that this release seems to have occurred as a result of the film now being converted from 2D into 3D, a move that is only slightly less objectionable as colourising black-and-white films. Selected cinemas are screening restored prints in the original 2D format and seeing the film in this way does convey the wonderful craftsmanship involved in the animation. The early use of computer animation blends seamlessly in with the traditional drawn and cel animation to convey intense moments of spectacle and to finely render intimate character detail. This is a beautiful and expressive film. The Lion King is still an excellent entry in Disney’s comeback in the late 1980s and early 1990s. The unfortunate questionable values at least offer a good post-viewing conversation point about how popular culture shapes ideology. If that’s too strenuous then instead attempt to figure out the original relationship between Simba and his mate Nala (voiced by Niketa Calame and Moira Kelly). Apart from Mufasa and Scar do we ever see any other adult male lions? Could Nala therefore be Simba’s half-sister or cousin? Keep in mind that royal families were often very incestuous. This entry was posted on Thursday, September 29th, 2011 at 8:39 am and is filed under Film review. You can follow any responses to this entry through the RSS 2.0 feed. Both comments and pings are currently closed. I didn’t find the ‘circle of life’ philosophy odd at all. Listen to the song – it explains everything perfectly. I guess I mainly found the way the film somehow linked the cycle of unquestioned inherited wealth and privilege with the quasi-spiritual/natural cycle of ‘The Circle of Life’ to be odd. Otherwise, sure, it’s a pleasant and straightforward way of looking at life, death and everything in between. Yes Jen, really. And I did enjoy the film for what it is: a hugely popular animated feature with high artistic merit and massive cultural influence. I find your flippant comments about history and the value of animated films to be horrendously naive, ill-informed and disrespectful. Good review! I like the fact that you comment on the underlying ideology and politics of the film, rather than just what appears on the surface. That’s something that many reviews don’t even touch on. Scar isn’t reviled because he deviated from the natural order and got the brains. He is the villain because he’s a betraying murderer who beats women and lusts after power. Rather than being a smart capable leader after killing his brother and attempting to kill his nephew, he stripped the lands of their natural wealth and let the strong prey on the weak. This review completely overlooks Scar’s behavior in trying to make a far-fetched point. @Adam – Thanks! I am fascinated by issues of representation and identification in cinema so it’s good to know that writing about such things is appreciated by others. @An – I see where you’re coming from, but what I’m trying to say is that the filmmakers made a conscious decision to align the villainous characteristics with the character who defies the so-called natural order of power and privilege via birthright, and is also clearly defined as being smart rather than strong. Scar could have still been written as the villain without so overtly associating him with those other traits. Also, he doesn’t allow the strong to prey on the weak, he allows the bottom-feeders (hyenas) to run the show and again, in the context of the film, that is represented as ‘unnatural’. So, I don’t think my point is far-fetched at all. In fact, I’m genuinely surprised other people don’t see this. Maybe they simply don’t want to since it is otherwise such a wonderful film. No Jill, what I’ve written here is not overanalysing, but very straightforward and conventional film criticism. This is, after all, a film criticism blog. If this kind of analysis is too strenuous for you then there are plenty of other places on the internet for you to visit. Also, this is an animated film with animals that can talk to each other and frequently break out into song – it’s not a nature documentary. And might is not right at all; what a horrible sentiment. There’s a reason why democracies (as flawed as many of them may be) continue to mostly flourish around the world while dictatorships come and go. Tom, u are overanalyzing (that’s the correct U.S. spelling). It isn’t too strenuous. Im just tired of bleeding hearts liberals like u who want every movie to be a liberal mouthpiece. This Is A Nature Movie. And we are discussing lions. King of the jungle. The whole movie is based on a monarchy. Lions are not elected to the throne in The Lion King. Just go with the flow and enjoy the movie. Might IS right. The Law Of The Jungle Is Kill Or Be Killed. Man, u need to just chill. It was a wonderful movie, with a wonderful story. I’m not American Jill so if you don’t mind I’ll spell the way that’s appropriate to me and the majority of my readers. If you actually think that this is a nature film then I cannot help you and I worry about your grasp on reality. I’m at least glad you do concede that this film is about monarchial rule as that is one of the main points I am making. By the way, if you dislike ‘liberals’ like me and the way I approach cinema then I don’t understand why you just subscribed to my blog (I get notifications of when that happens). Finally, there’s no point double posting as I won’t approve duplicate comments. In fact, unless you can bring something new and rational to the discussion, without name-calling, then I won’t be approving any future comments from you or the identity you attempted to post under yesterday. The problematic aspects of this film are jarring, obvious, yet didn’t really affect my enjoyment of it. The last time I watched this I wasn’t even ten, I do think, and when rewatching it just now I was worried for a moment the movie would play these tropes too straight up. In fact, it does, but only at the start, and the rest is quite wonderful, but critiques such as these are rather valid as it’s important to recognize how popular culture shapes various privileges. I enjoyed your review – thank you. It is interesting how our society, particularly western society, has moved far far away from Monarchistic models of governance. We all find it very offensive that some people are ‘born to rule over us’ (as the British national anthem sings) and we maintain that all to be equal. The fascinating thing is that in countries that are under a benevolent dictator (if there is such a thing) seem to be happy and content with their place in life. I’m wandering if we are missing something, personally I would be very happy to live under a king like Mufasa, who clearly, as well as being strong, cared and had a sense of responsibility for his people. He also knew how to run the country well and his citizens where happy and content – even the hunted antelope. Anyway, interesting review! Thomas, you did mention plutocratic neo-conservatives…didn’t you know that if you speak of the devil, he will appear? Jill, you are an embarrassment to Americans everywhere. It’s almost like you were deliberately trying to type the most ignorant comments imaginable, accentuated by your sad lack of typing skills. Stop making all of us look like morons. Anyway, I think it’s important to question the storylines and underlying logic in popular children’s literature and film. After all, they are both an indication of a current cultural mindset AND the stories that are shaping future minds. Disney films are rife with class and gender stereotyping. Even when I try not to be critical or self conscious about the underlaying social restrictions that populate the films, I still struggle to get all the way through without being embarrassed and a bit worried about the impressions that are being communicated to kids. Having watched Beauty and the Beast recently (which, in other adaptations, is one of my favourite fairy tales), I can’t help but cringe when the anthropomorphised household objects sing “we live to serve” during “Be Our Guest”. Really? I think the song writers should take a 12-month stint in customer service and come back with a new perspective. The song is incredibly effective, and if it wasn’t written we wouldn’t have the glorious Simpsons parody, but COME ON, it is absolutely steeped in a class dynamic where servants serve, farmers farm, and pretty young girls get married to princes (after a bit of confusion first). Of course the circle of life philosophy is odd “It’s okay to chase and eat our neighbours son because after we’ve lived a full life and died peacefully in our sleep, we get absorbed by the earth and those other non-entities prey on the grass that’s left behind”. A poor justification for tearing other animals limb from limb. In reality of course Lion’s have little more chance of surviving into adulthood as their neighbours. Hi Thomas, I enjoyed your review very much. I had never seen the film until, by chance, I saw the same screening as you. If anyone has any doubts about your perceptive remarks regarding the representation of ideology in the film, I suggest they study the song sung by Scar, ‘Be Prepared’, where he declares his intentions to right his perceived injustice by murdering his brother. I was amazed by the Leni Riefenstahl visual cues the film used to compare Scar’s ambition and methods to Fascism (capital ‘F’). Thinking about it afterwards, I feel this overt and undeniable linking of Scar with Hitler/Mussolini must be for a moral purpose. Certainly it is not meant for the younger members of the audience who would not get such a connection but rather it is a sophisticated call on another trope, that of the evil/good binary. One character is born evil, to harbour powerful and threatening ambition, achieved in the most callous way and the other is good, fated to only see the good in others and be too trusting and good-hearted to suspect the depth of depravity that threatens him (and all he rules benignly). Thus, the death of Mustafa is, as you say, powerful and also meaningful in betraying the divide between good and evil that is shown to exist in the jungle, and by dint of the reference, to our real world as well. 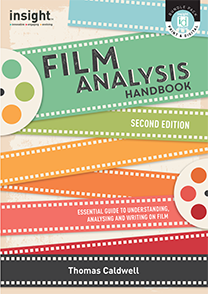 I would NOT call it straightforward and conventional film criticism or reviewing, I think I would call it slightly overanalyzing….but I would also call it insightful,dedicated and an enjoyable read. Would´ve liked some reviews on the voice performances but what the hell…. As for Mufasa,are you sure YOU´re not the one making him brave,wise and good cause he is the rightful king and not the other way around? As in;he´s born king,ergo,he is great. That is a choice you can make as a viewer. Well,evil is also just a point of view. Not born king,waiting in line,then passed by again…Scars ambition is understandable. He takes what he is not entitled to with his strength;his mind. The story does as you say,ring of Shakespeare and concidering the whole world was it´s audience, I don´t think writers and creators want to say that birthright and might is what matters and try to brainwash children in a subtle way. It makes for a better story then the other way around,no? And like Frollo and unlike Yan-Su,a Disney villain should be intelligent,sophisticated and filled with inner demons or issues. And Mufasas line”Yeah…cause no one messes with your dad.” after slapping around the hyenas was more about bonding with his son and they have that moment,its a good way to build up to the unimaginable that comes a few minutes later(someone will mess with him and the fact that he feels like someone who can overcome any situation is still no match for betrayal). Mufasa dies 35 minutes into a 85 minute film,can´t reviewers hint instead of spelling it out? He is the tritagonist. He is also naive,not perfect,both in having a brother called Scar and who threatens him. Scar represents every politician today but exactly WHY does his rule fail that extreme? That part is easily skipped when he drifts out of the story and Timon and Puumba make it a bit too goofy. Suddenly there´s no food? He can´t be eating it all. Pride Rock turns into a dark,destroyed place for the sake of the plot. Decency.friendship,karma and true loyalty are bigger parts of the core then birthright and might here. U can have a brain vs. brawn debate but it can only go so far.